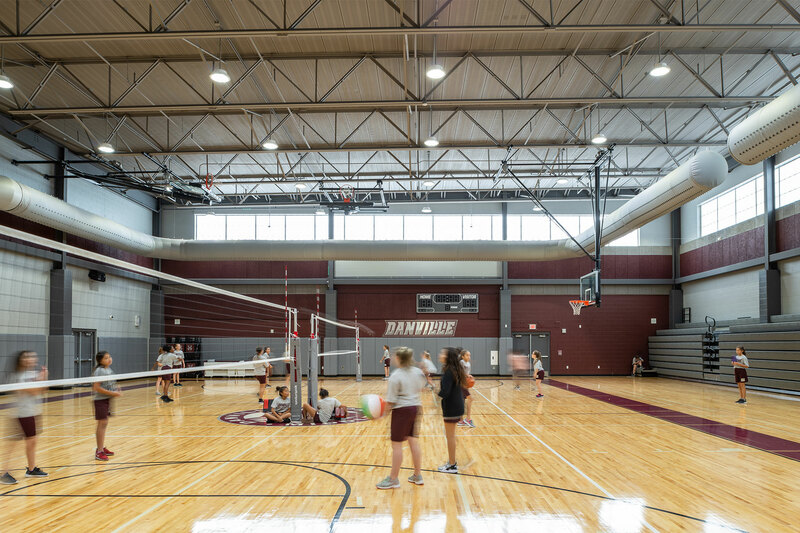 Middle school is where and when students discover their passion; it was our mission to create an environment of and for these discoveries. 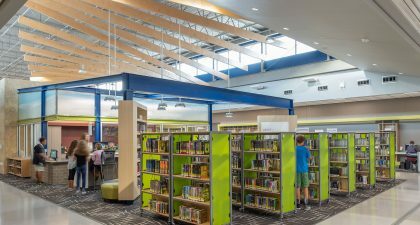 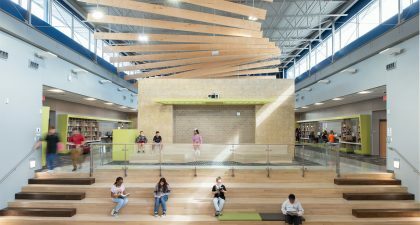 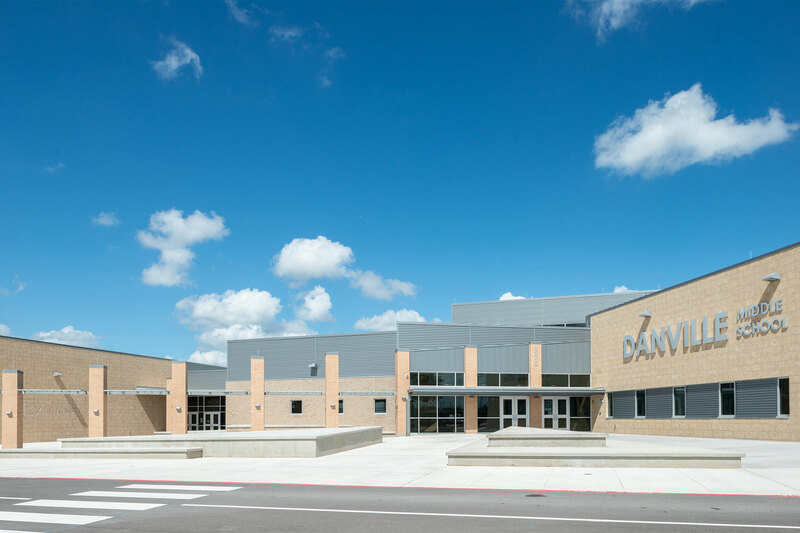 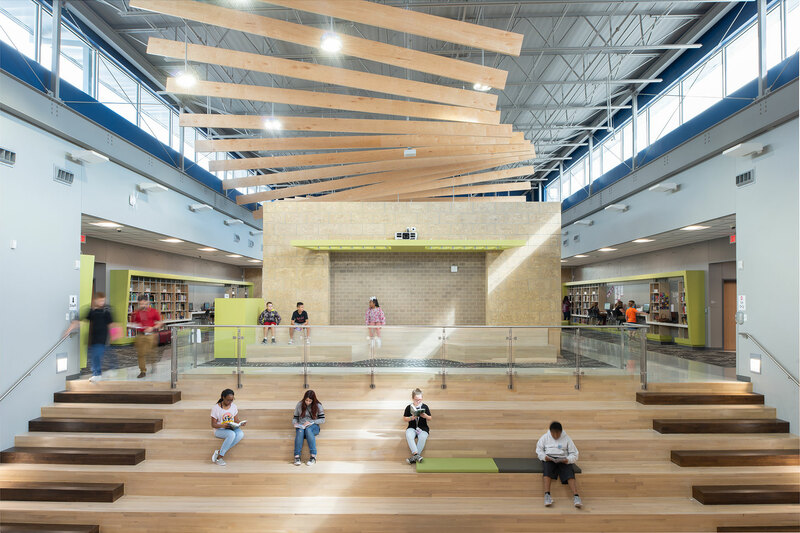 The innovative design of Danville Middle School places the focus on the library as the heart of the school. 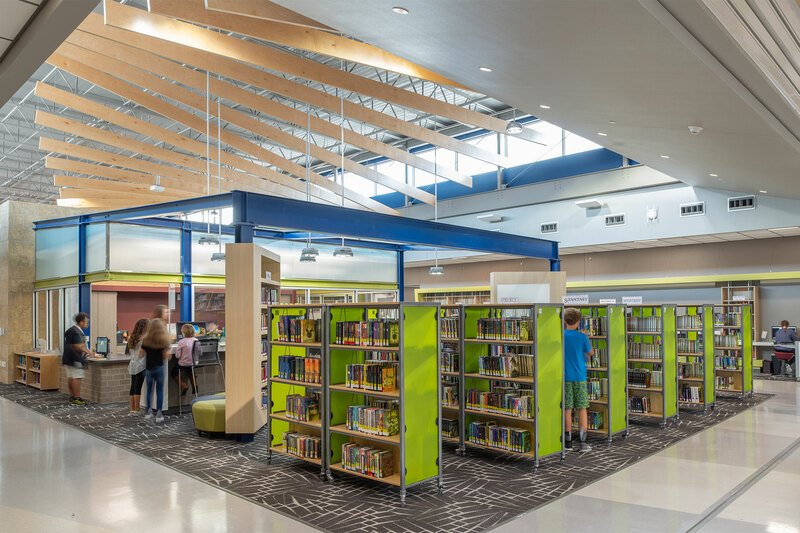 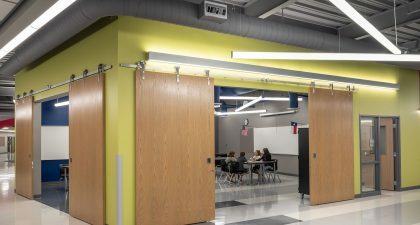 The concept expands the library into a welcoming and open collaboration center which serves as a multipurpose space in the center of the school, both physically and functionally. 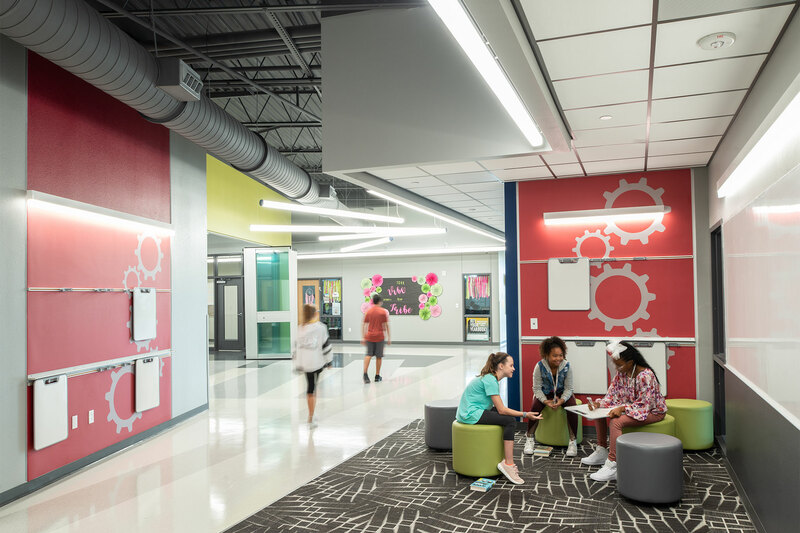 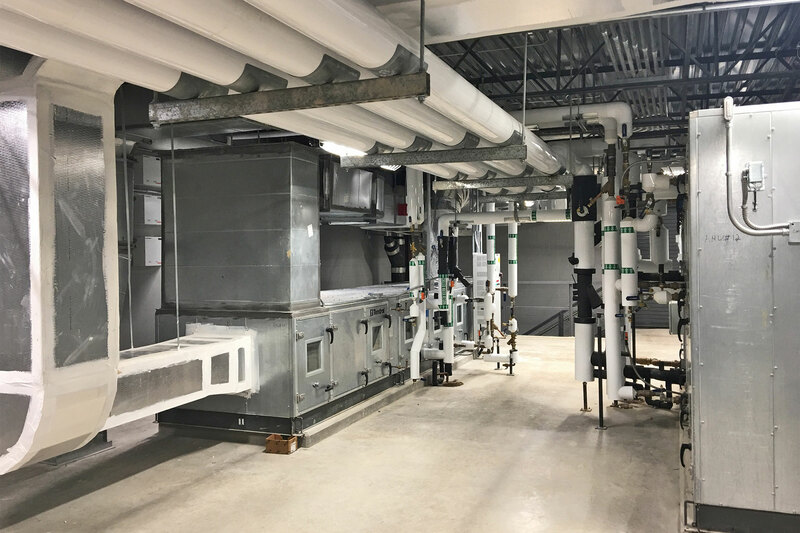 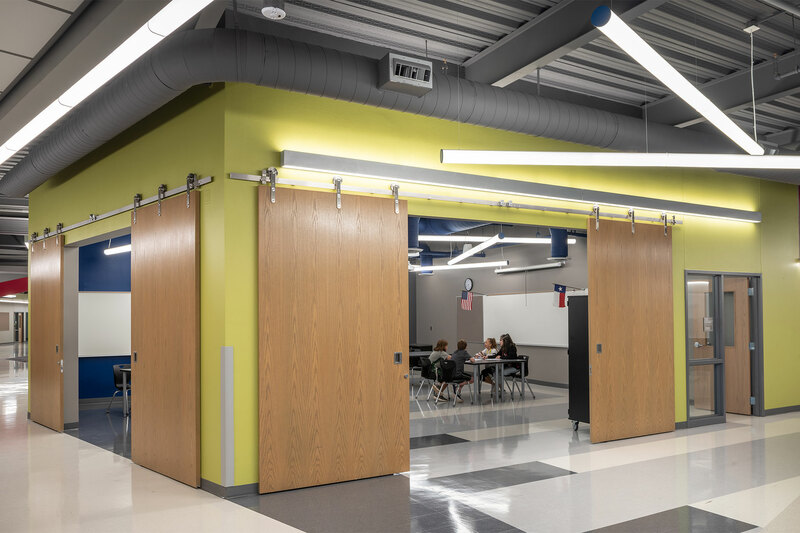 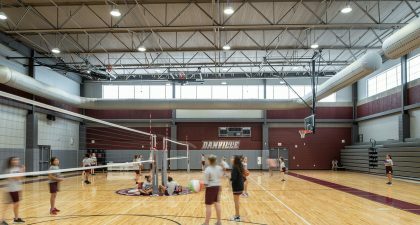 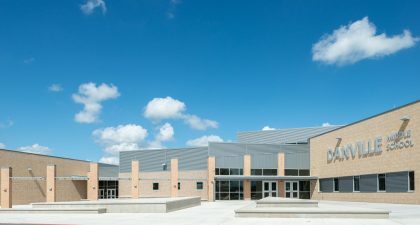 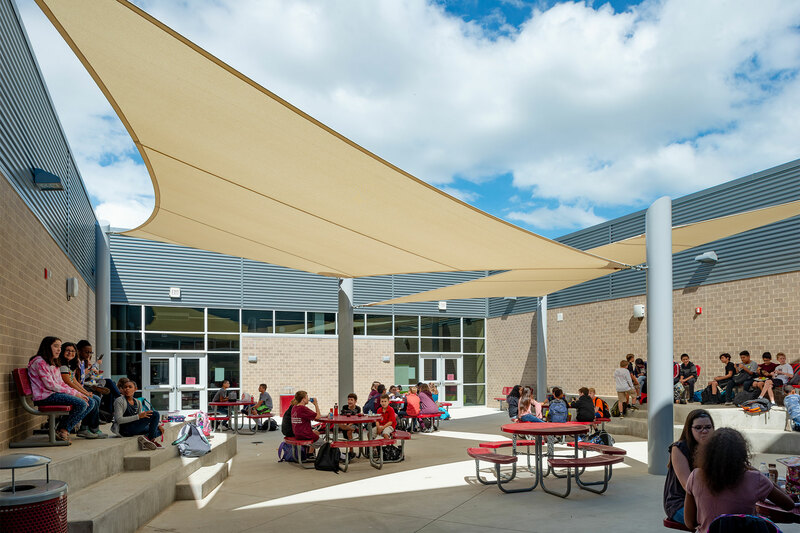 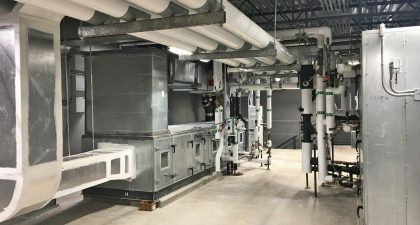 The 166,000 SF middle school was designed for collaboration and flexibility, maximizing space to extend the learning environment beyond the classroom. 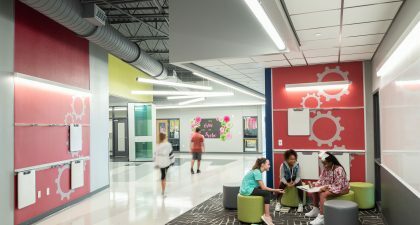 Clustered in small learning centers, classrooms are flexible spaces available for staff development, tutoring, testing, and other group activities.